Central African Republic is going through the most important crisis of its history. Everyday, hate, resentment and despair guide its inhabitants towards a dark future. 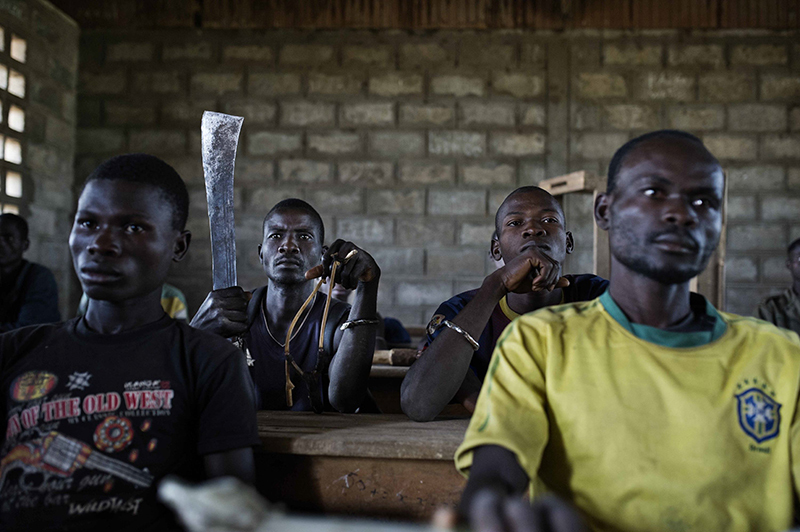 Members of the "Mouvement de Revolte des Forces Armées Centrafricaine pour le Peuple" during a military instruction in a school of a village, in the outskirts of Bangui.